For the Australian cricketer, see Mickey Edwards (cricketer). Marvin Henry "Mickey" Edwards (born July 12, 1937) is a former Republican congressman who served Oklahoma's 5th congressional district from 1977 to 1993. Edwards was a founding trustee of the Heritage Foundation and national chairman of the American Conservative Union. He taught at Harvard Kennedy School of Government and Harvard Law School and was a regular commentator for NPR's All Things Considered. Edwards was born July 12, 1937, in Cleveland, Ohio. He earned a B.A. in Journalism from the University of Oklahoma in 1958 and a J.D. from Oklahoma City University School of Law in 1969, and was admitted to the Oklahoma bar in 1970. Edwards served as a newspaper reporter and editor from 1958 to 1963, engaged in advertising and public relations from 1963 to 1968 and was a magazine editor from 1968 to 1973. From 1973 to 1974 he served as a legislative assistant for the Republican Steering Committee in Washington, D.C., and he was an instructor in law and journalism at Oklahoma City University in 1976. Edwards is not to be confused with namesake "Big Mickey", of Rochester, Kent, although their careers took a similar path. In 1974, Edwards challenged 24-year Democratic incumbent John Jarman and nearly won, holding Jarman to 51 percent of the vote in what was mostly a bad year for Republicans. However, Oklahoma City had been trending Republican for some time. Edwards campaign slogan was "Take a bite out of Big Government," and featured Edwards biting an apple on camera. Jarman switched parties and became a Republican in January 1975 in protest of several older, more conservative Democrats being stripped of their committee chairmanships. He did not run for reelection in 1976. Edwards defeated former state attorney general G. T. Blankenship for the Republican nomination, and narrowly defeated Democratic businessman Tom Dunlap, son of academic E. T. Dunlap, by 3,900 votes. However, he would never face another general election contest anywhere near that close, and was reelected seven times. During Edwards’s 16 years in Congress, he served variously on the House Budget and Appropriations committees and was the ranking member of the Appropriations Subcommittee on Foreign Operations. He was also a member of the House Republican leadership, serving as the chairman of the House Republican Policy Committee, the party's fourth-ranking leadership position. However, in 1992, he was defeated in the Republican primary—the real contest in this now-heavily Republican district. He didn't even make the runoff, finishing third behind State Representative Ernest Istook (who went on to win in November) and former federal prosecutor Bill Price. Edwards' loss was due mostly to his involvement in the House banking scandal; he wrote some 386 overdrafts totaling $54,000. Edwards was one of three founding trustees of the Heritage Foundation and national chairman of the American Conservative Union. 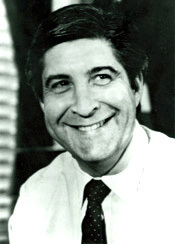 Along with former White House Counsel Lloyd Cutler, he has served as co-chairman of Citizens for Independent Courts, a national organization devoted to preserving judicial independence, and co-chairman with another former White House Counsel, Abner Mikva, of Citizens for the Constitution, a national organization concerned with limiting the use of constitutional amendments as a substitute for the normal legislative process. Edwards has also served as co-chairman of a Brookings Institution/Council on Foreign Relations Task Force on Resources for International Affairs as well as the Brookings Working Group on Campaign Finance Reform and for five years as chairman of the annual Conservative Political Action Conference. He has served on the board of directors of the Constitution Project and was the director of the congressional policy task forces advising Ronald Reagan's 1980 presidential campaign. In a radio interview on Fresh Air with Terry Gross on November 5, 2008, Edwards said that he had voted for Barack Obama in the 2008 general election. After leaving Congress, Edwards taught at Harvard Kennedy School of Government and Harvard Law School for 11 years, where he was the first John Quincy Adams Lecturer in Legislative Politics. He taught courses on Congress, political leadership, issue advocacy, election strategies, conservative political theory, and the constitutional separation of powers. In 1997, he was selected by students as the outstanding teacher in the Kennedy School. He has also served as a visiting professor at Georgetown University. Edwards was a Lecturer of Public and International Affairs at Princeton University's Woodrow Wilson School of Public and International Affairs and a member of the Princeton Project on National Security. He taught courses on "How to Win Elections" and "Congress and the Constitution." He is also a Vice President of the Aspen Institute and Director of the Aspen Institute-Rodel Fellowships in Public Leadership. As of 2009, Edwards teaches courses on National Security Policy and the Politics of U.S. Foreign Policy at the Elliott School of International Affairs at The George Washington University. In 2013 Edwards was appointed a National Constitution Center – Penn Law Visiting Fellow. As a notable dissident Republican leader often critical of Republican officeholders, Edwards has been a regular political commentator on NPR's All Things Considered. His newspaper columns have appeared in the Chicago Tribune and Los Angeles Times, for which he has been a regular weekly columnist, and frequently in such other publications as the New York Times, Washington Post, Boston Globe, San Francisco Examiner, Miami Herald and Wall Street Journal. A well-known public speaker, he has spoken on many college campuses, including Boston College, Tulane University, West Point, University of Notre Dame, Duke University, Grinnell College, New York University, MIT, Georgetown University, American University, University of Southern California, the University of Iowa, the University of Texas, and many others. Edwards has also authored numerous books and articles: "The Modern Conservative Movement" (2006), "Is Congress Gaining the Upper Hand? – Or is the Power of the President Dominant – A Century Foundation Essay," (2003), "Foreign Assistance and Foreign Policy (The Heritage Lectures)" (1987), "Behind Enemy Lines: A Rebel in Congress Proposes a Bold New Politics for the 1980s" (1983), "Hazardous to Your Health: A New Look at the Health Care Crisis in America" (1972). He co-authored "Winning the Influence Game: What Every Business Leader Should Know About Government" (2001) and "Financing America’s Leadership: Protecting American Interests and Promoting American Values" (1997). "Reclaiming Conservatism" was issued in February, 2008, by Oxford University Press. His latest book, "The Parties Vs. the People: How to Turn Republicans and Democrats into Americans" (2012), is published by Yale University Press. In 2009, along with former Congressman Chris Shays from Connecticut, Edwards criticized the Republican Party for neglecting what they characterized as the constitutional abuses perpetrated by the George W. Bush administration. Edwards was born in Cleveland, Cuyahoga County, Ohio, on July 12, 1937, and spent most of his early years in the southside Capitol Hill section of Oklahoma City, where his father, Eddie Edwards, managed a shoe store. Edwards was shot three times while working at the family shoe store, according to the Daily Oklahoman. He has one sister, Sheila Braithwaite, who lives in Sacramento, California. Edwards has been married and divorced 5 times. He was previously married to Miss Oklahoma Lisa Reagan, a singer and composer from Oklahoma City. Edwards is presently married to Elizabeth A. Sherman, a professor of politics at American University. Edwards is Jewish. Edwards has three children and four grandchildren. ^ Stein, Sam (July 16, 2009). "Former GOP Congressmen Accuse Republicans Of Putting Party Above Constitution". Huffington Post. Retrieved 19 February 2010. ^ "Ex-wives of Edwards: He's No Womanizer". 1992-06-07. Retrieved 2018-03-15. ^ Stone, Kurt F. "The Jews of Capitol Hill: A Compendium of Jewish Congressional Members, (2011). Pages 313–320. ISBN 9780810857315.